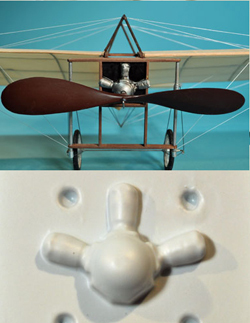 Vacuum-molded scale pilots made from .007 white styrene, and radial engines made from .020 black styrene, specifically designed for free flight models. Highly detailed and ready to paint. 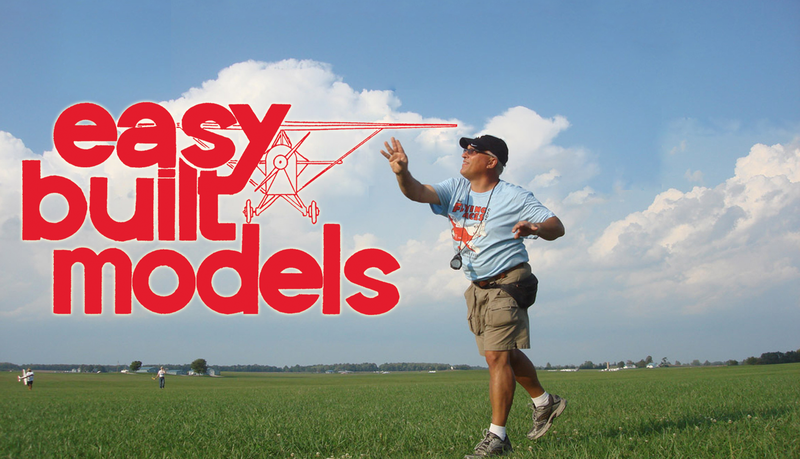 Light enough to use in any flying model. Manufactured by Small Scale Custom Services. Pilot scale diameter as specified. 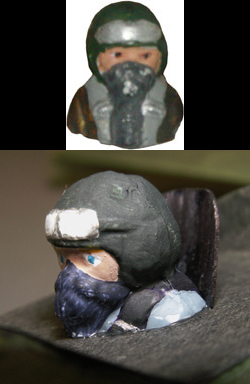 Pilots are 3 dimensional, includes front and back halves. Shown at uniform height for layout purposes. Measurements are our own approximations. Charts below show pilot dimensions. All dimensions are in inches. 1:8 scale. Russ is the pilot scaled to fit our Chambermaid kit. Weighs 1.7 grams. 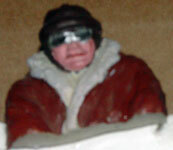 1:12 scale female pilot with googles up. Weighs 1.75 grams. 1:15 scale German ace. Weighs 1.0 grams. 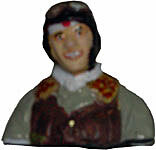 1:15 scale Japanese Banzai pilot. Weighs 1.0 grams. 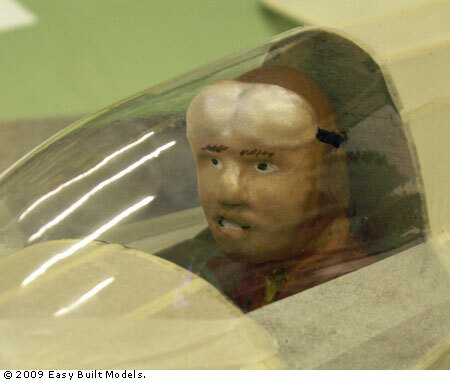 1:18 scale modern jet pilot with bone dome. Weighs 0.75 grams. 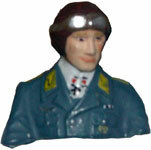 Dave used this pilot in his Heinkel Julia. 1:19 scale male pilot. Weighs 1.3 grams. 1:20 scale Anzani engine designed for our Bleriot XI.